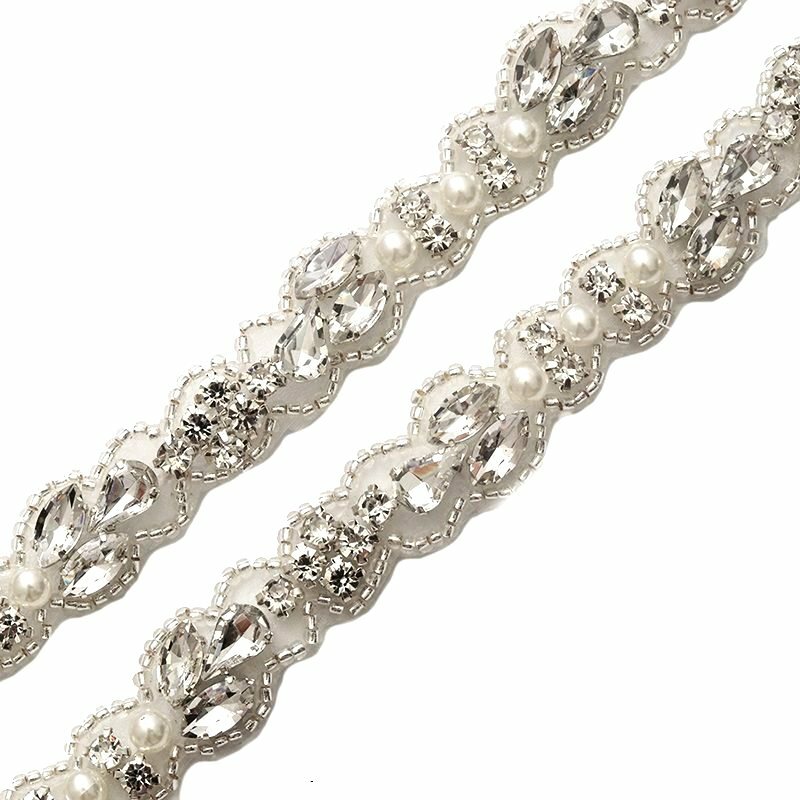 This trim has beaded finished ends so that it can be used as a long applique. This trim is simple yet pretty. It is one of our more detailed thinner trims. The design includes a mixture of marquise, teardrop and regular stones with pearls mixed in. The same design rotates throughout the trim. 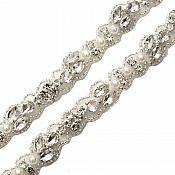 This trim has a silver beaded edge making it nice for a colorful border or edge. Measures: 1.5 cm in width.